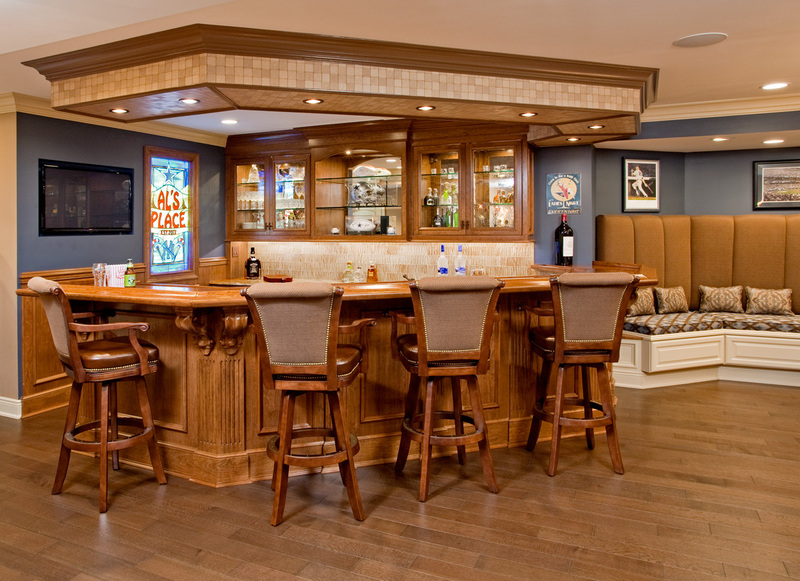 Custom-made cherry bar by Superior Woodcraft creates a focal point for this residential multipurpose room. 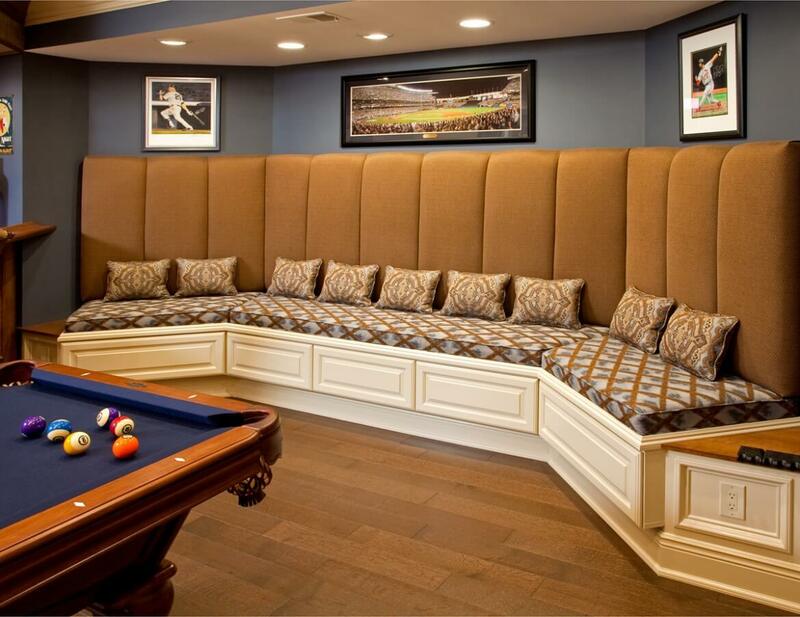 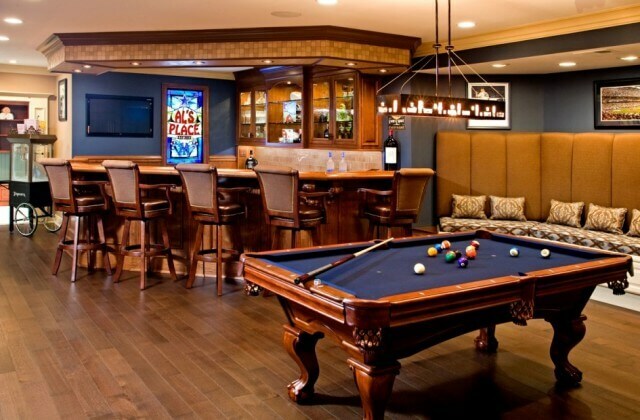 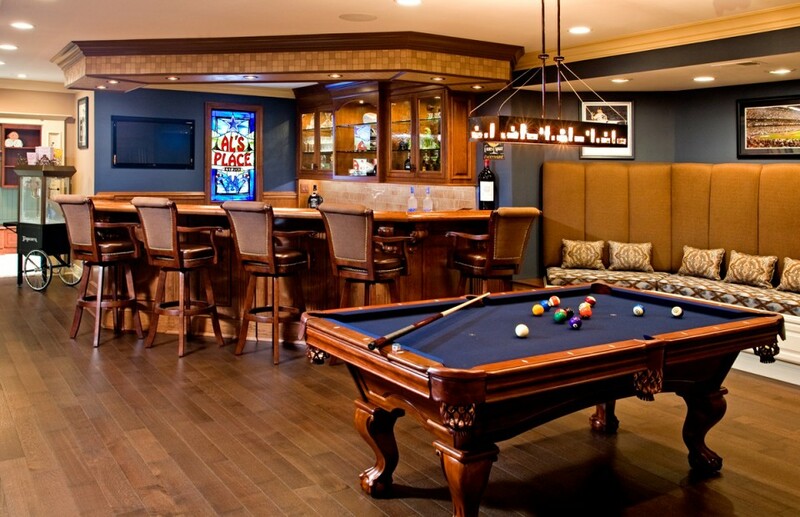 This luxury area serves as a bar, game room, pool house and trophy room for sports memorabilia-all in one great living space. 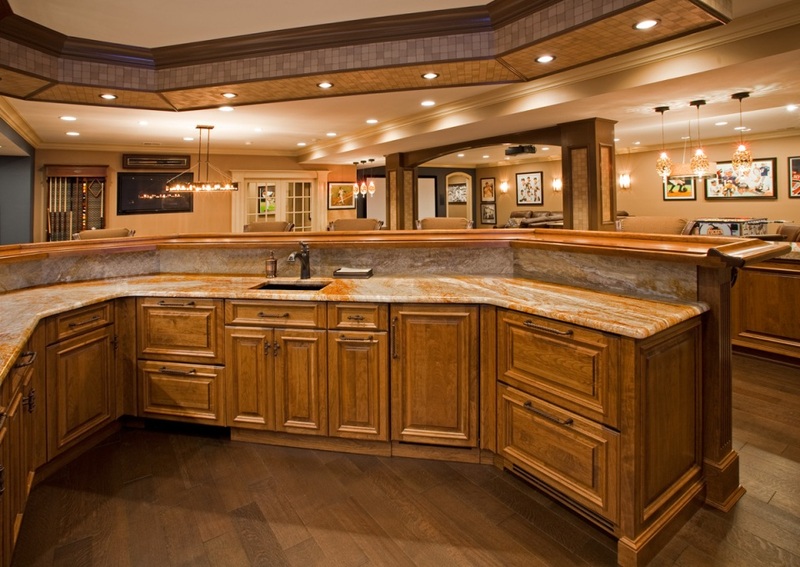 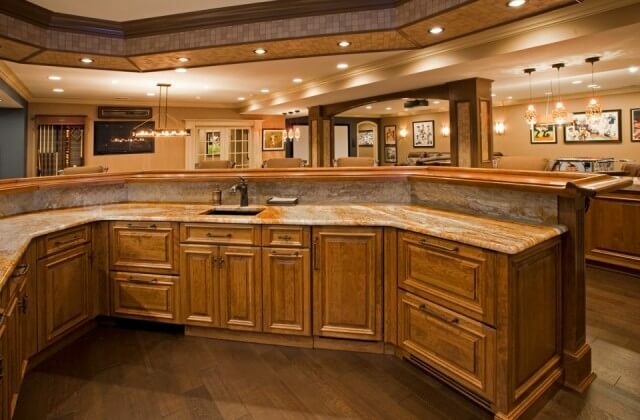 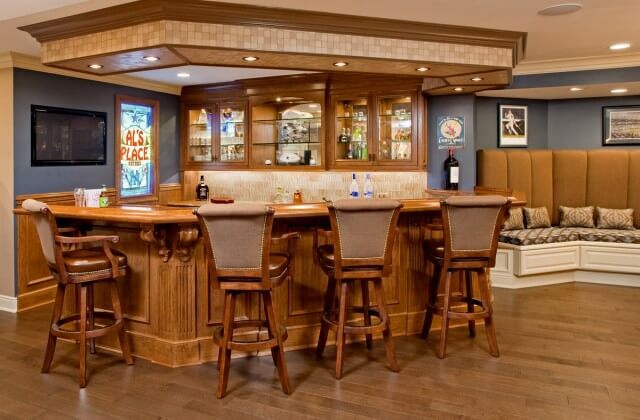 The custom cabinetry was handcrafted by Superior Woodcraft, Inc . of Doylestown, Pa.